A rare strain of Escherichia coli bacteria has sickened over 2000 people in Germany and resulted in at least 19 deaths. The strain, O104:H4, can cause hemolytic-uremic syndrome even in healthy individuals. The source of the outbreak is still unknown. 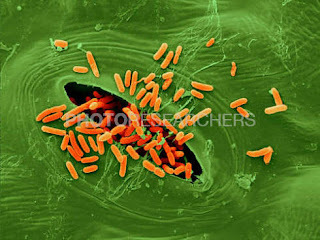 See a selection of our E. coli-related imagery here.